India is fielding their biggest ever athletic contingent for the 2016 Rio Olympics and the question on everyone’s mind is, can they win 10 medals at least this time around. There’s no doubt they India can double their tally what they achieved during the 2012 London Games. But who will win those medals? We put our bets on these athletes, who we feel have the most realistic chance of winning a medal at the Rio Olympics. Probably India’s best bet at repeating Abhinav Bindra’s historic feat, eight years after, Jitu Rai is Indian shooting’s golden boy and in red hot form. 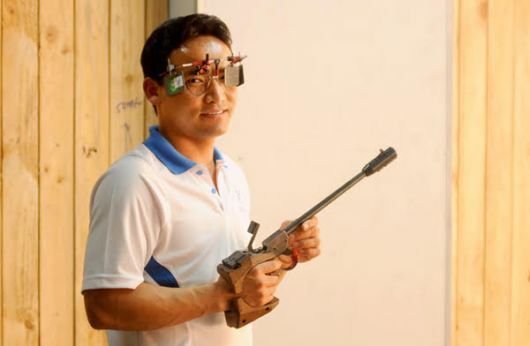 The Nepal-born Armyman of the Gurkha regiment is a serious medal contender in the 50m pistol shooting event. That’s the format he’s had a lot of success in, running in to Rio. Rai won gold medals in 50m air pistol during the 2014 Glasgow Commonwealth Games and the Incheon Asian Games same year. The other event he’s capable of taking a medal is the 10m air pistol, in which he won the 2014 ISSF World Cup gold at Maribor and silver in the Munich event. India’s shooting team will be extremely disappointed to not get a medal out of the 29-year-old. Expect at least one silver medal from him. Undoubtedly Saina Nehwal will headline India’s badminton team at Rio but this time things are different from 2012. Saina is a lot more hungry four years later and is bidding to be India’s first female gold medallist at Olympics. Of course, she faces the toughest of draws with the Chinese, Taiwanese and the Indonesians, athletes who have been dominant over decades in Olympic badminton, standing in her way. Saina has ensured she reached the knockout stages on each of her previous two Olympics. After reaching many a heights in 2015, including the World No 1 ranking, Saina had a heart-breaking loss to Spain’s Carolina Marin in the All-England Championships and she’s only come out stronger from then. A silver is a realistic target. Jwala Gutta and Ashwini Ponappa were oh so close to getting a medal in London 2012 and they’re now more than determined to get a medal four years later. Jwala has over the last decade established herself as the best doubles player in badminton. With Ashwini, she shares an excellent rapport and has won quite a few medals post the London 2012 Games. The duo won a silver medal at 2014 CWG and 2014 Asian Championships. They made the semi-finals of the Indian GP in 2015 and 2016 as well as the US GP Gold in 2015. Their big win came last year by winning the Canada Open last year. They’re heading into Rio with top form as they won gold at the women’s doubles and the team event event at the South Asian Games in Guwahati. Heena is the brightest prospect among India’s female shooters and medal contender. The 26-year-old 10m Air Pistol shooter from Mumbai won the 2013 Rifle/Pistol ISSF World Cup gold in Munich and followed that up with bronze at the 2014 Asian Games. However, a gold in the 2015 Asian Shooting championships bolstered her confidence even more. 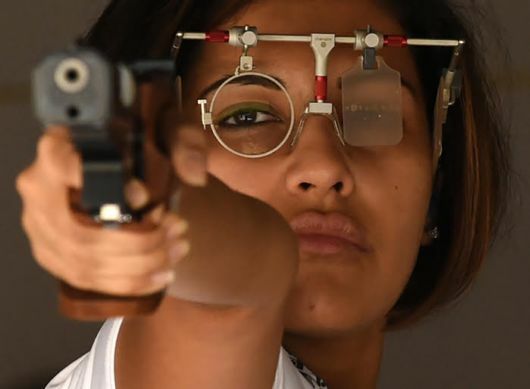 She’s the only Indian to take part in the 25 rapid fire pistol event and the fraternity expects a lot from Heena, who is playing her second Olympics. Continuing with aiming sports, Indian archer Deepika Kumari seemed to have hit the right form just in time for the mega event. The archery team suffered a major setback during the London Games but Deepika’s feat earlier this year at the Archery World Cup has raised realistic hopes once again. A product of the Tata Archery Academy in Jamshedpur, this Ranchi girl equalled the world record in the women’s recurve event when she recorded a score of 686/720 to set the archery world buzzing. 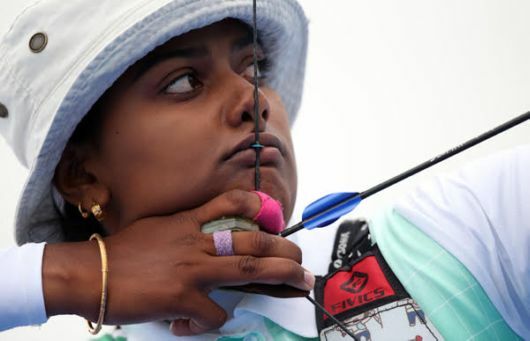 Playing her second Olympics, Deepika’s chances rise when she teams up with Bombayla Devi and Laxmi Rani Majhi in the team event and if they can beat the South Koreans standing in their way, India might well have their first archery medal. Almost a month back, Sania had made it clear that India’s best chance at a medal in Olympics in tennis is in the mixed doubles category. That’s because of the comfort factor that Sania shares with her partner Rohan Bopanna as compared to Leander Paes. 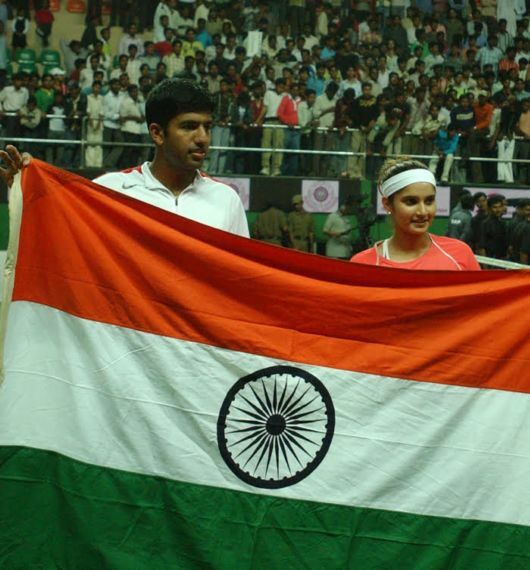 Both Sania and Bopanna are expected to bring their best doubles game together and they will form a strong team. From 16 mixed doubles pairs, a bronze is a realistic opportunity for Sania. The Indian men’s hockey team is in an excellent frame of mind going into Rio Olympics with a silver medal performance at the Hockey Champions Trophy where they lost of Australia via penalties in the final. Things have been massively progressive for the men in blue. From change of coach to change of captaincy, from players getting the best exposure in the Hockey India League to the fast training methodology, everything is pointing in the right direction for Indian team. New captain and star goalkeeper PR Sreejesh has stressed on the leadership roles for various players on the field and the excellent camaraderie they share among them. Although, the Australians, the Dutch, the Germans remain stronger than India but the sheer confidence of Indian team will prompt them to break the Olympic medal drought that has carried on for 36 long years. India are pooled in Group B that have the likes of Netherlands and Germany, along with Argentina, Ireland and Canada. In her own words, the first Indian woman gymnast to qualify for the Rio Olympics, 52 years on from the last time the country had gymnastic representation at the Summer Games, is targeting a place in the final round. Only two of her adversaries have attempted the Produnova – Yamilet Pena of the Dominican Republic and Egyptian Fadwa Mahmoud – but neither has topped Dipa’s highest score in the world, 15.300. It would take something exceptional for Dipa to win an Olympic medal, but then she is a phenomenon in itself. He’s said it very clearly, its either gold or nothing for Yogeshwar Dutt at Rio Olympics. Yogeshwar, who won the 60kg freestyle bronze in London 2012 is hungry to go out with a bang as he has decided to quit amateur wrestling after the Rio Games. Yogeshwar’s wrestling progress post London has only been on an upward curve. An increased weight category of 65kg and gold medals in 2014 Glasgow CWG and 2014 Incheon Asiad. His training has been very advanced, using the hypoxic chamber, something that Cristiano Ronaldo also uses in his training methodology. A silver is a realistic goal. 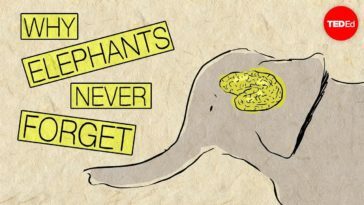 Event Date – August 21. An Olympic qualification for her sister Geeta Phogat meant that Vinesh would carry forward the wrestling legacy in the family. And when she won a gold in the 48kg women’s category at the 2014 CWG in Glasgow, Vinesh realised her potential that she can go all the way. She followed that up with a bronze at 2014 Incheon Asiad, a silver in 2015 Doha Asian Championship and a bronze in 2016 Asian Championships in Bangkok. 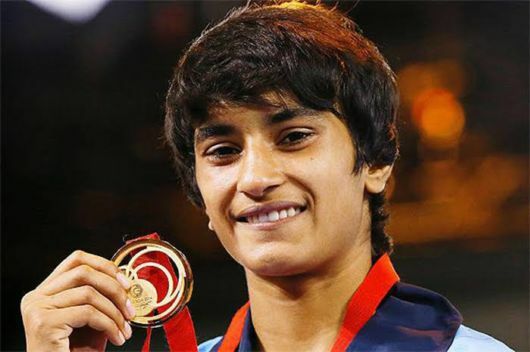 She qualified for Rio after winning gold in the qualifying tournament in Turkey. earlier this year. Just the fact that only three Indians feature in the boxing event at the Rio Olympics show the plight of boxing in India that is still not run under a well defined federation. The 2008 and 2012 Olympics had many more boxers qualifying for the mega event. However, Shiva Thapa, amid the fracas has held his own and is now a mature enough to carry the boxing burdens of the nation post the Vijender Singh era. 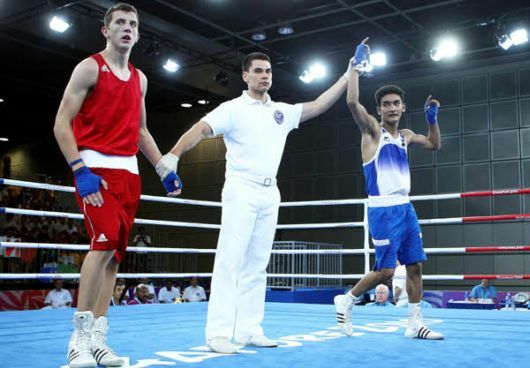 Shiva became the youngest boxer to qualify for Olympics back in 2012 but now is India’s best bet at a medal in boxing.